Not only is it convenient, living on campus opens the door to a whole new world of opportunities. Aside from the obvious things, like easy access to classes, great food, good friends, and a variety of activities, first-year students who live on campus at LSU consistently achieve higher grade point averages than those living off campus. Residence halls are natural settings for study groups, provide easy access to academic support, and are places where you can fully enjoy your first year on campus with new friends. 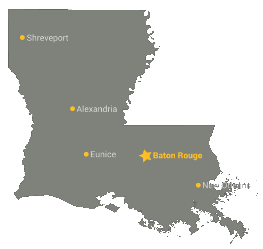 All of our traditional residence hall communities are located within walking distance of academic buildings, the library, the LSU Union, athletic events, and recreational activities. There are both male/female halls, separated by card-access floors and wings, as well as gender-specific residence halls. 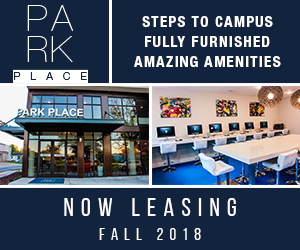 In addition, on-campus apartments are available for second-year students or higher. Visit lsu.edu/housing to learn more. Residential colleges maximize the on-campus living experience by creating smaller communities and fostering greater student–faculty interaction. In addition to living in the same hall with others who have similar interests, students in residential colleges take several introductory classes together, and many of their instructors hold office hours and review sessions in the residence hall. All residential colleges are for both males and females. They are all separated by card-access wings and/or floors. Visit lsu.edu/residentialcollege to learn more.